Let’s start with the irrefutable fact that ordering from Amazon the first time is a bit like making a deal with the devil. It’s so convenient and simple and you get such great deals – it’s easy to get addicted. 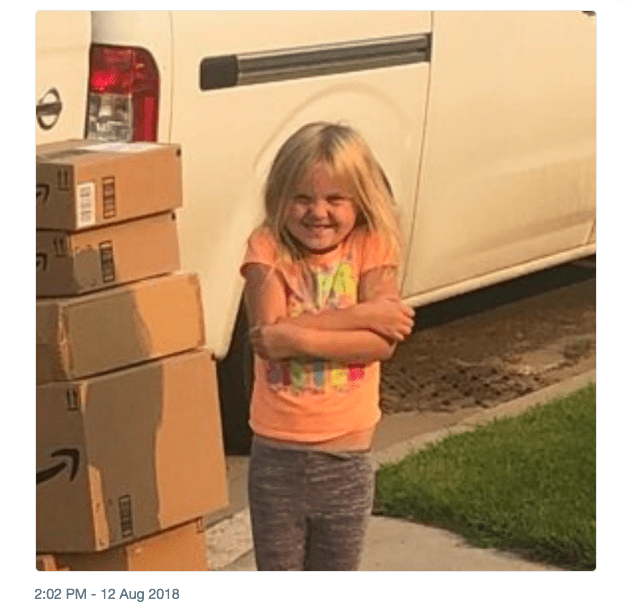 Apparently, that also goes for the toddler set, because this little girl snuck around to log on and order all of the loot her parents had been saying “we’ll see” to for the past couple of years. 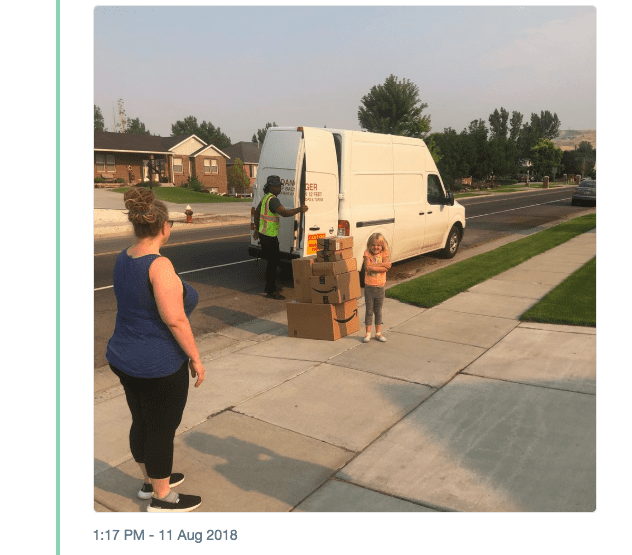 Her cousin, Caitlin, is only six years old, but apparently, that’s old enough to know how to search Amazon, put things in your cart, and click free Prime shipping. According to Buzzfeed, Caitlin did have permission to be on the account in the first place – she was allowed to order a Barbie of her choice for her birthday, but the sneaky little thing just couldn’t let well enough alone. She asked her mother if she could log in again to check to see whether her gift had shipped, and went on her shopping spree then. For all of you fun-haters out there shaking your heads, take heed: Caitlin might look as pleased as punch with herself in the photograph, but she’s definitely being punished for her little impromptu shopping spree. The little girl was forced to return everything except the birthday Barbie, and that’s not all. For this generation, that’s pretty much their version of getting grounded, going to bed without supper, or giving up your car keys for a few days. I’d like to say that I’m sure she learned her lesson, but I’m not sure. Maybe next time, she’ll just be smarter about it.